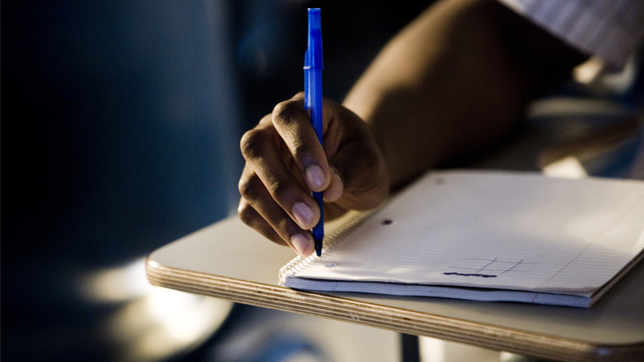 During the school year, teachers often assign essays–to the dread of many an English Language Arts student. Understatement alert! During college application season, writing skills really come in handy. College and scholarship essay prompts may ask you to “discuss a special attribute or accomplishment that sets you apart” or to “describe a struggle that you overcame, and how you grew as a result” (Hadad, 2009). The point of the essay is for you to stand out from the ocean of essays written by thousands of other applicants. Before you let the trepidation or false sense of inadequacy thwart you, hone in on something that is unique to you. Here are some examples: An essay prompt from Stanford asked applicants “What matters to you, and why?” (deHahn, 2017). (Sound familiar? Hint: iDrive has asked teens the same question!) In response, one applicant, an activist, included a bold statement about a viral movement over 100 times in his essay. This approach may not have worked for everyone, but it worked for Ahmed. The actions of this Bangladeshi-American evidenced his passion and involvement to do something about the issue. Ahmed has a long and impressive history of volunteerism, outreach and partnership with an advocacy organization, and he even took his cause to Washington, D.C. Another noteworthy example: the unconventional essay from a different college applicant resulted in acceptance letters from five Ivy League colleges. The high school student from Delaware responded to a common prompt that asked prospective students to write about an aspect of their lives that was so significant that they would feel “incomplete without it.” The aspect that the teen so eloquently described? A wholesale club. Brittany built a whole metaphor around the shopping experience inside of the store. Read the full essay here: Essays are an opportunity to disclose the inner workings of your mind; to expose what truly matters to you in support of your extracurricular activities. In your essay, reveal the best of you. Extracurriculars are evidence of your actions that spring from your interests and character qualities. Visit the admissions page of college websites and you will come to see that applications are viewed “holistically.” In fact, the undergraduate admission website University of Southern California explains that applications “paint a picture of you” (USC, 2017). How you spend time outside of your classes speaks volumes. Student government, debate teams, school clubs, volunteer work, community service, internships, student publications, part-time jobs and athletics are some examples of extracurricular activities that colleges want to see in an application. Note that colleges can tell when you are cramming in a bunch of activities at the last minute to “look good.” Why not choose something that you enjoy or that you are passionate about and stick to it? This advice applies to all other things you do. Make sure you show colleges that you are able to put your mind on something, stay dedicated, and make a real impact on the world. 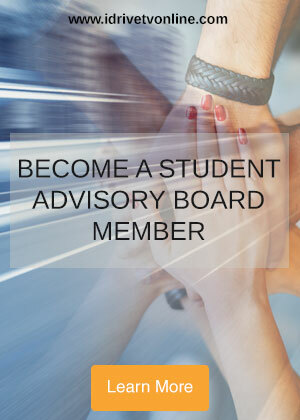 Keep in mind that when you contribute your talents and interests to the iDrive community as a Student Advisory Board member, you may be eligible to add your participation on a college application.